Apple TV 4 and Apple TV 4K users can jailbreak tvOS 11.0 – tvOS 11.1 using the new and updated LiberTV. Here’s how it works. 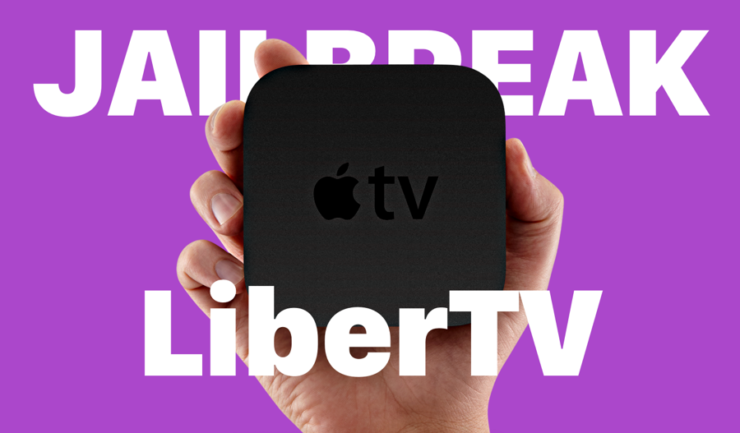 LiberTV11 Lets You Jailbreak Your Apple TV 4 / 4K Running tvOS 11.0 All the Way Up to tvOS 11.1. It’s safe to say that 2017 is ending with a huge bang in the land of jailbreaking. 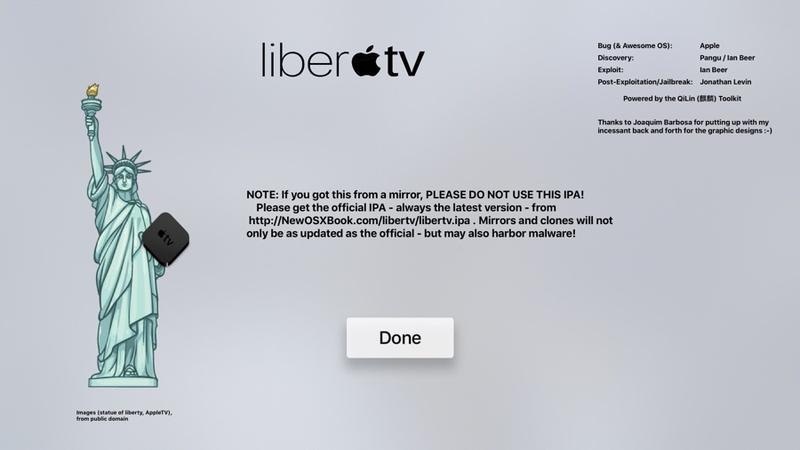 Not only we ended up seeing a jailbreak for iOS 11.0 – iOS 11.1.2, but tvOS 11.0 – tvOS 11.1 is getting the same treatment as well thanks to the new and updated LiberTV. LiberTV made an appearance earlier this year and was able to jailbreak tvOS 9.1 – tvOS 10.1. Now though, the tool has been stepped up a notch with added support for tvOS 11.0 – tvOS 11.1 running on Apple TV 4 and Apple TV 4K. If you are running firmware that is other than tvOS 11.0 – 11.1, then you won’t be able to use this tool to jailbreak your Apple TV. Also, if you have updated to tvOS 11.2, there’s no way you can downgrade back to the support version in the hopes for a jailbreak as Apple is not signing older firmware at this point. Once you have downloaded the LiberTV IPA file (source link), you can use Cydia Impactor (download link) to side-load it onto your Apple TV 4. The Cydia Impactor method will not work on the Apple TV 4K as the device does not contain a USB-C or any kind of port in order to interface with a PC or Mac. Therefore you have to utilize Xcode for that. This also means that Apple TV 4K users have to source a Mac with Xcode installed (Mac App Store link). Once you have side-loaded the LiberTV app, your Apple TV 4 and Apple TV 4K will be jaibroken and you can side-load other stuff onto it which otherwise requires root access. Keep in mind that there is no Cydia for the Apple TV, so do not expect to go out, jailbreak and install tweaks immediately. The jailbreak on an Apple TV is contrastingly different compared to how it is on iOS, but nonetheless, the core concept is the same as both gives you root access to the OS, bypassing Apple’s restrictions.